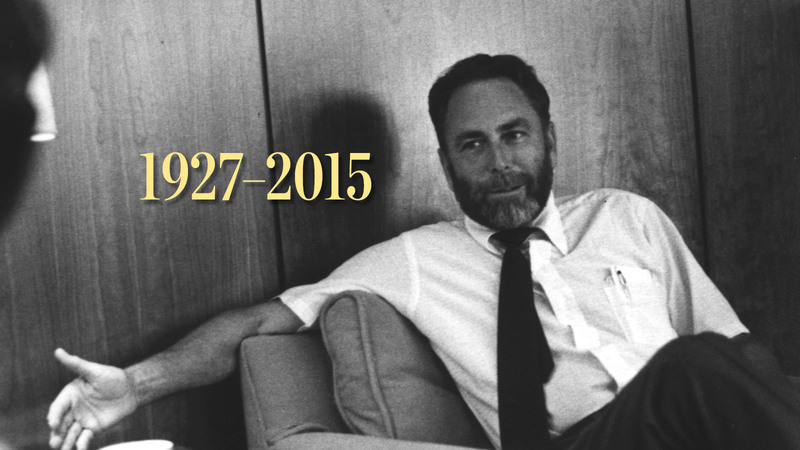 On Jan. 13, UCF’s second president, H. Trevor Colbourn, died at the age of 87. Known as the “Scholar President,” the Australian-born historian is best known for changing the name of Florida Technological University to the University of Central Florida in 1978, but his legacy includes many pivotal changes that shaped the future of the university. Change is what higher education is all about. This institution has a distinguished past and will have a much more distinguished future. It’s been a lot of fun, some anguish and certainly no regrets. Distinguished Alumnus Roger Pynn, ’73, recalls the leader who guided UCF through one of its greatest periods of expansion. And then there was the name change. I was opposed and told him it would probably be easier to beat the University of Florida on the gridiron than it would be to get FTU alumni to support such a change. But he twisted my arm, saying he needed a public relations person who understood research to help determine if he could get the alumni support he’d need for the new moniker. I ended up making the motion for the Alumni Association to support changing FTU’s name to UCF because the research proved him right. Trevor could talk anybody into anything. But what will always stay with me was the ever-present twinkle in his eye. He made friends easily, but wasn’t necessarily good at small talk. He would come to a discussion well prepared, knowing what he wanted but always willing to listen. Trevor could be swayed, but not by pressure or friendship. And when it came to raising money, he knew it was an important part of his job and did it very well. Trevor understood that people gave money not just to help fund the university but also to fulfill their dreams of helping to advance something special — such as scholarships, research, athletics or theater — or to honor someone important in their lives. Trevor had a special touch with people and made them feel important. My wife, Shelley Kiefer Pynn, ’74, and I were young professionals in those days and weren’t considered major donation prospects. But when UCF Foundation executive director Jim Donovan showed us a way to give through a small life insurance policy, Trevor took the time to call us to say how much it meant to the university. It was a personal touch we’ll never forget.